Great Britain's Mallory Franklin and Kimberley Woods won silver and bronze medal in the women's C1 event at the 2016 World Cup in Ivrea, Italy. Franklin finished 0.25 seconds behind Australian winner Jess Fox. Woods came in 0.97 seconds behind world champion Fox, while fellow Brits Eilidh Gibson and Jasmine Royle finished seventh and eighth respectively. The women's C1 is not currently an Olympic event but it is being proposed for inclusion at Tokyo Games 2020. 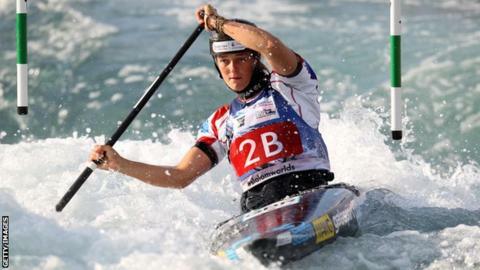 Franklin, Woods and team-mate Lizzie Neave will now turn their attention to Sunday's K1 semi-final. Meanwhile, in the men's K1, Scotland's Bradley Forbes-Cryans finished sixth in his first senior international final.